Ex-Finance Minister Alexey Kudrin says Russia should change the model of economic development, lest a slump in oil prices endanger people’s incomes and cause social tensions. Prime Minister Dmitry Medvedev discussed the future of the Russian economy with leading financial gurus when he took participated in the meeting of international expert council for Russia at the World Economic Forum (WEF). The experts offered three scenarios for the future. The first one is based on preserving the status quo when the oil prices remain on the same level, which provides further economic growth. The second scenario is meant for a potential crisis when the oil prices drop dramatically and the government switches on the compensation mechanisms and cuts down expenses on education and the social sector. Experts believe that this scenario would result in stagnation and even the degradation of the economy. The third scenario is the most complicated. It envisages the improvement of market institutions in the context of a dramatic slump of oil prices. Dmitry Medvedev believes that the Russian economy would develop according to an average scenario based on the three offered ones. Comparing Russia’s economic results with those of European economies, we can see that things are not too bad. On the whole, experts point out that the situation in Russia is indeed stable. As for macroeconomic indicators, a low state debt and a budget surplus have been preserved. The people’s well-being is rising. The International Monetary Fund believes that the Russian economy is on the rise and predicts that in the near future Russia will become the largest European economy. However, in spite of outward stability, risks remain. The head of the expert council at the WEF, ex-Finance Minister Alexey Kudrin warns that Russia should change the model of economic development; otherwise the slump in oil prices could endanger people’s incomes and cause social tension. Alexei Kudrin, who was the Russian minister of finance for 11 years, also pointed out the drawbacks in Russia’s budgetary structure and recommended a review of the expenses for defence in favour of education and health care. Last year, criticism of the government’s budgetary policy cost Kudrin his ministerial position. 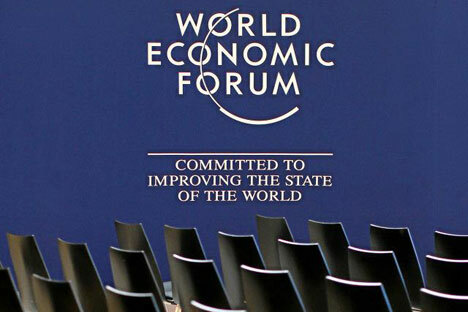 Foreign experts on Russia at the WEF are however very optimistic about Russia’s future. James Turley, chairman of the board of directors of Ernst & Young, one of the world’s largest auditors, says that foreign investors highly appreciate the Russian Government’s economic policy.